Born and raised in Milan, Italy, Mr. Costa is an international attorney both knowledgeable in U.S. and Italian law. He obtained his Italian law degree at the University of Pavia. After practicing for several years in Milan, he moved to Tucson in 2009 where he earned his JD at the University of Arizona. He is a member of the International Law Section at the Arizona State Bar and serves as general counsel for the Italian Association in Scottsdale. 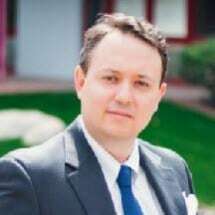 Mr. Costa focuses his practice in corporate and business law, providing assistance in different areas such as start-up, entity formation, business immigration and naturalization, commercial transactions, contracts, and strategic tax planning. He assists international clients desiring to invest and/or establishing in the U.S. He also assists U.S. companies and individuals desiring to invest and/or establishing in Italy, or having assets and interests in Italy. Being European and Italian native-language speaker, he understands the cultural differences between Italy and the U.S. and help overcoming all possible barriers.